Ubisoft has been working on Assassin's Creed Unity over the past four years, its vision for the franchise on new-gen consoles. The only other game in the franchise to be in development for this long was the first game. However, Ubisoft has not forgotten what has happened in the past. They went back to the series' roots to reinvent it for the new generation, and now they are also filling a hole in its history and storyline with a last-gen surprise: Assassin's Creed Rogue. The announcement lost its surprise factor when the trailer for Assassin’s Creed: Rogue was leaked. Rather than announcing it at Gamescom as planned, Ubisoft decided to confirm its release on November 11th by releasing an official version of the trailer not long after the leak. They also confirm that the game will be developed by Ubisoft Sofia, featuring a collaboration with the Singapore, Montreal, Quebec, Chengdu, Milan and Bucharest studios. Martin Capel, game director of Ubisoft Sofia, stated that: “We know that there are many Assassin’s Creed fans with Xbox 360 and PlayStation 3 consoles who want to get their hands on a new Assassin’s Creed game this year.” Assassin’s Creed: Rogue will take you back to New York in the 18th century and will bridge the gap between Assassin’s Creed III and Assassin’s Creed IV: Black Flag, as it covers the Seven Years' War, just like their recently announced Assassin’s Creed: Unity, which is released for PS4 and Xbox One only. This is a crucial period for both the Assassins and Templars in Colonial America, as each faction attempts to seize control of the New World. You will play as Shay Patrick Cormac, an Assassin who is betrayed by the cause and joins the Templars to hunt his brothers down. He has arguably the most interesting story of any hero in the series to date. This will be the first game in the series to show us the Templars' perspective of their secret war with the Assassins. Maybe we will come away from the game with a better understanding of what makes them act as they do. 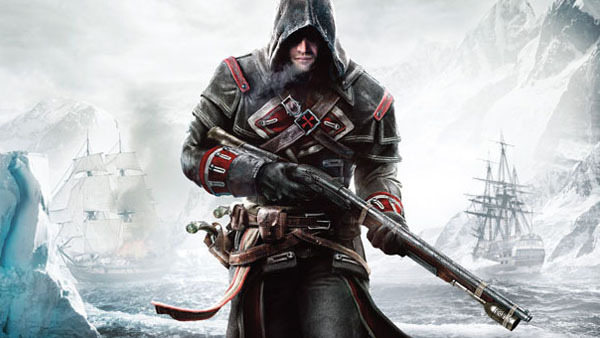 The gray morality of Assassin's Creed Rogue's story is interesting, in the past, Assassins were always the good guys and Templars were the bad guys. Shay's particular situation makes us question those assumptions. Shay starts the game as a young Assassin who is betrayed by the Order, and after surviving their attempt on his life, he decides to become a Templar. The game follows him as he hunts down the Assassins who wronged him. “Basically, Shay starts off as a brash young man,” says the games writer, Richard Farrese: “He doesn't really take his role seriously as an assassin, not because he doesn't believe in the cause, but because he's young and not quite wise yet. At some point in the game there's going to be something that's going to happen, and this will make Shay rethink his whole philosophy and his allegiance to the Assassins. Eventually, he will realize that the Templars' goals and methods are much more in line with his own beliefs, and he's got to join the cause.” The two factions both believe they are doing what will best serve humanity. The differences lie in their approach, as the Assassins think that people should be free to think and act as they choose. They perform assassinations to shape history to align to that philosophy. According to the Templars, people are not yet able to handle absolute freedom as the Assassins offer it. Instead, humanity should be guided. “The Templars aren't in control of the Colonial authorities, but they are trying to manipulate them, certainly,” Farrese says. “I think that's one of the exciting things about playing a Templar, in that you're experiencing all of that from the other side. Now you're part of the order, and you fight against the chaos that the Assassins bring.” Apart from the philosophies, the biggest difference between them are resources. The Templars are a well equipped, and that can easily be seen in Shay’s arsenal. He will have access to high end weapons that did exist as prototypes, and some that were actually in use at the time. A good example is his air rifle, which allows him to silently take out enemies at a distance. This weapon comes with a variety of different projectiles, and he also has a grenade launcher. You now have the benefit of combining an Assassins skill set and the Templar's resources. Shay is equipped with a deadly air rifle, good for both short and long range combat. You will have a variety of ammunition, including special grenades to make sure your enemies are distracted. The eagle vision we know from previous installments is still present, and you will be using it against your former allies to spot them hiding in the shadows, on rooftops, and in the crowds. Along with exploring a fully recreated New York, you will also get to explore the Frozen Atlantic and Appalachian River Valley in The Morrigan, a ship like Edward Kenway’s Jackdaw, but smaller. The popular naval combat from AC4 will be enhanced, according to Ubisoft, and we already know that new weapons like the auto-firing Puckle gun and burning oil will give players new strategic options. There will also be a new threat; Assassin boarding parties will do their best to try to wipe out your crew. The Appalachian River Valley and the ice sheets and icebergs of the northern Atlantic and will make sailing trickier during these battles, and pose new and more strategic naval combat for sure. Rogue builds on the naval battles and exploration that Assassin’s Creed IV: Black Flag successfully incorporated into the game, so we can only guess that Shay is the captain of his own ship. Assassin's Creed Unity may turn out to be a better game in some ways, the PS4 and Xbox One are stronger consoles, no doubt, and this coupled with the co-op features will most likely be cherished by many. Ubisoft really wants to give their franchise new life on next-gen consoles, and while Rogue has no multiplayer at all, and is only launched on Xbox360 and PS3, it still has some strong points. It starts us off in 1751, which means it is right between the time periods of Assassin's Creed 3 and Assassin's Creed 4. Ubisoft means by this to complete the "North American saga", started by those two. Shay is supposed to have served on the Adewale, in the AC4's DLC campaign Freedom Cry and in Rogue he mutinies from the same. Haytham Kenway, a Templar who played an important role in AC3, will reportedly make an appearance in this new game as well. Connections like these to previous games will build a bridge between AC3 and AC4 and make Shay's journey tie Connor and Edward's tales together into what just might end up to be one epic trilogy. What do you think about their last chapter? Is this something you will be adding to your collection this fall?